We always welcome new members. We’re currently looking for new tenors and baritones, and we’ll welcome basses and lead voices too. 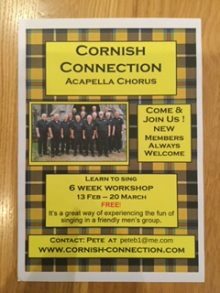 Six-week free singing trial for new members.